M&M Development is a team of talented real estate professionals bringing you a full service company. Our crew’s combined knowledge and experience creates the "A Team" of real estate development featuring skills of acquisition, design and construction, as well as management and marketing knowledge. M&M’s executive team oversees every aspect of each project, from conception to completion, providing the time, energy, and financial resources necessary to deliver an amazing solution. By setting new standards in the industry, M&M Development has earned a stellar reputation for its dedication to the development of superior residential properties with sophisticated designs and generous floor plans. M&M Development is dedicated to providing high quality, low cost housing solutions to meet the needs of the communities they service. We develop communities that provide every resident access to affordable homes, reliable public transportation, quality education, healthcare, and other essential services. Utilizing years of experience and valuable knowledge in Emerging Market Housing, the M&M team has concentrated their business energy in Newark and Camden NJ, bringing affordable luxury to these emerging market. 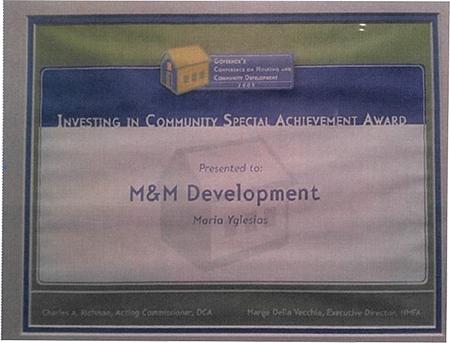 M&M Development L.L.C was founded in 1997 by Maria E. Yglesias and Maria Del Mar Lopez. The two immigrants from Spain shared a friendship and a passion for the housing development and construction business. 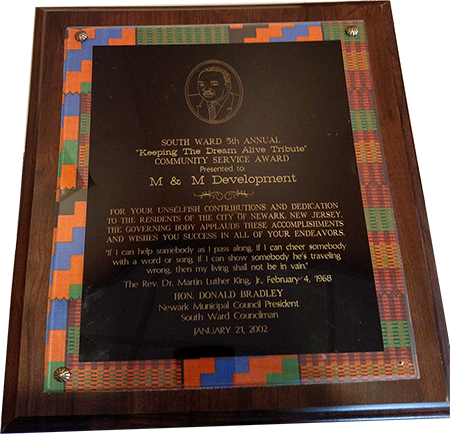 Cathedral Homes, in Newark’s Central Ward, was M&M Development’s first Affordable Housing project. M&M Development’s success in the affordable housing world is based on the firm belief that a "home" is much more than four walls and a roof. Homes are the building blocks of communities and directly impact peoples lives. People are judged by their communities. Being part of a certain community can, by itself, hinder or help a person’s prospects for success in life. The Marias, as they are known in the business, believe that Affordable Housing should be the vehicle to improve urban neighborhoods and the lives of people in urban communities. 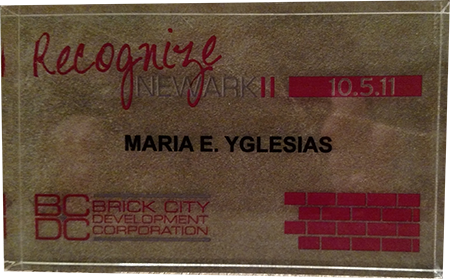 They proved this point with their affordable rental project, Villa Esperanza, in Newark’s South Ward. These award winning buildings, located at Shephard Avenue and Osborne Terrace have become a beacon in the community and have raised the bar for Newark's future affordable housing projects. 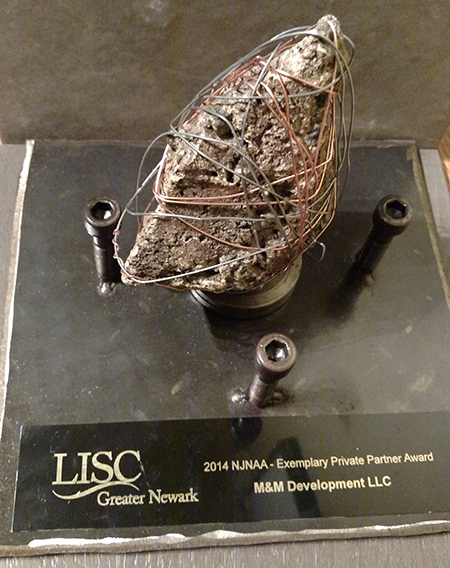 M & M Development welcomes the opportunity to bring their work and vision to other communities across New Jersey. Their current projects range from affordable rental apartments for People with Special Needs, to affordable condominiums, townhouses and single family homes in Newark and Camden, NJ. M & M Development is committed to fostering the dream of home-ownership and urban renewal. They are pioneering the 21st century housing market with modern buildings designed to maximize the use of available land and resources, incorporating "Green"and energy saving features in the construction of affordable, attractive and energy efficient homes.